At the end of 3rd Anglo-Afghan war due to increasing British influence in the area , small anti-British gangs in the Afridi, Shinwari and Mohmand tribes had cropped up. The Afridi gang, comprising of Bosti Khel Afridis of Kohat pass, indulged in raids and forays in the Kohat administered area. In 1920, they broke into the armoury of the Cavalry Lines at Kohat and carried off about 100 rifles. Ajab Khan, the Bosti Khel, gang-leader was suspected in this incident. His village , just off the Kohat Kotal, at dawn was cordoned off by the military and police. Ajab Khan was not present in his village, however , some of his gang members , disguised as women, attempted to escape. The force commander searched all inhabitants , including the women. No trace of the stolen rifles could be found. The search of women was considered as the violation of 'purdah' (respect) and was taken by the whole clan as a great insult. Ajab Khan, the gang leader, avowed to avenge the insult by abducting an English woman. Within two weeks, he, accompanied by about thirty men of his gang, on the night of 14/15 November 1920, entered Kohat Cantonment from the south-east and broke into Bungalow No.36, occupied by Colonel Foulkes . They killed both Colonel and Mrs. Foulkes. Ajab Khan fled to Tirah. Later, he returned in February 1922 and broke into the armoury of Police Lines at Kohat and made with 46 rifles. His village was immediately cordoned off and searched by the Frontier Constabulary. Thirty-three rifles were recovered . The searching party also recovered certain items from Ajab Khan's house that proved his involvement in Colonel and Mrs. Foulke's murder. Ajab Khan and his associates were away at the time of search. However, the villagers, when came to know about his involvement in the killing of an English woman, turned against him. They stopped his entry into his village. 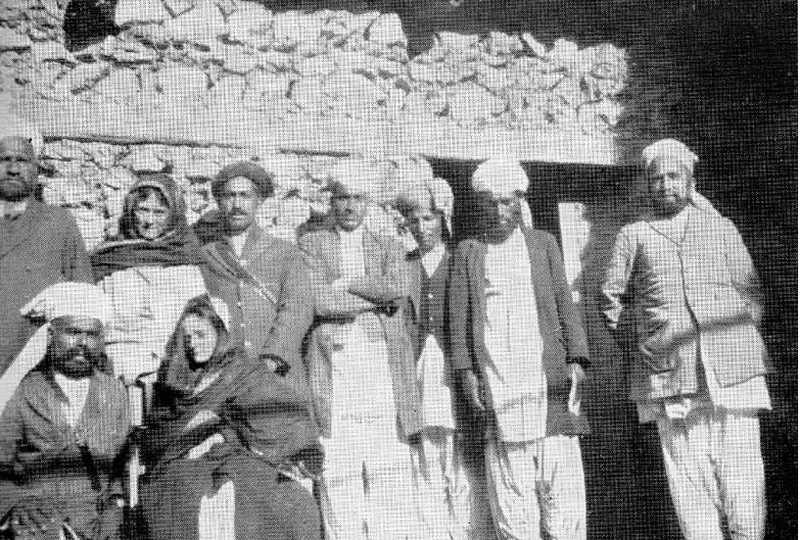 Ajab Khan, along with his accomplices , took refuge in Tirah. Even there they were not given due respect because of the killing of a woman. Ajab Khan got frustrated and planned to kidnap a European and hold his capture as a security for pardon of his gang's offenses. On the night of 13/14th April of 1923, Ajab Khan, accompanied by his cousins , Alam Khan and Shahzada, brother-in-law Hyder Shah Punjabi and uncle Alam Khan, through the water channel entered bungalow No.26 in Kohat Cantonment and broke into Colonel Ellis room to abduct the Colonel. The latter was out on some military exercise. In the absence of Colonel Ellis , Ajab Khan made up his mind to abduct Mrs and Miss Ellis. Mrs Ellis resisted and shouted for help. Ajab Khan's cousin Shahzada, stabbed her to death. 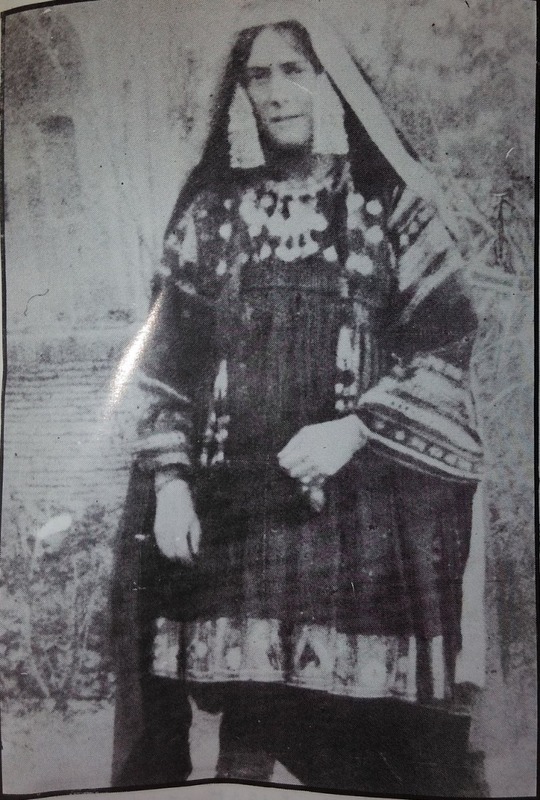 Ajab Khan took Miss Ellis out of Kohat to Tirah through the Zangi pass. The next day Royal Air Force searched the tribal territory around Kohat but could not locate or find a trace of the abductors. A 'jirga' comprising of Khan Bahadur Kuli Khan Khattak , Risaldar Mughal Baz Khan Kuki Khel Afridi, Nasrullah Khan Orakzai the "Khan' of Tirah and resident of Bhana Mari, Peshawar, Malik Habib Khan Afridi of Babari Banda and few others , accompanied by Mrs Starr, a nurse of Peshawar Missionary hospital, were sent to Tirah for recovery of Miss Ellis. 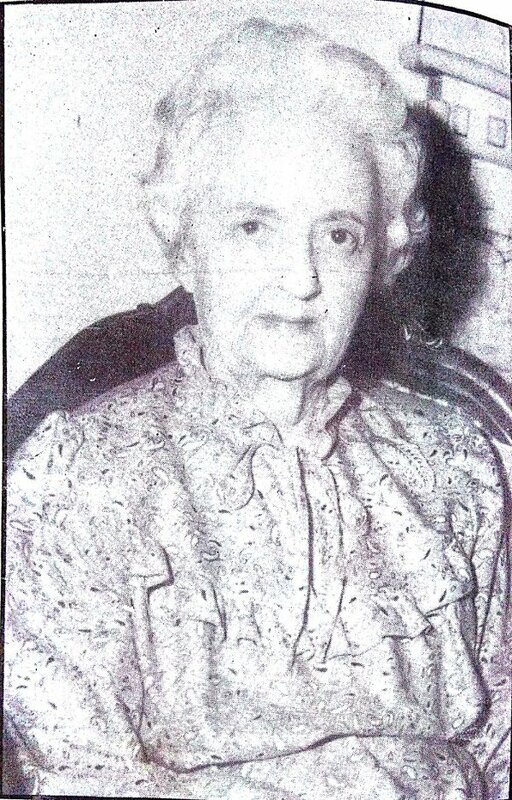 Since this kidnapping and killing of a woman had brought lot of indignation to the tribesmen , they readily cooperated in search and recovery of Miss Eliss. It was with the tribesmen's cooperation that the jirga recovered Miss Ellis who, except for the hardship of the journey of Tirah, had been kept well without any harassment or molestation . Ajab Khan , with his gang, fled to Afghanistan. a- A fine of Rs.100,000/-, destruction of the fortified village of Ajab Khan and his relatives. a- This being a special case of importance we will consider ourselves bound to render service in this case. b- If the outlaws arrive in the Tirah Adam Khel country and they (Tirah Adam Khels) fail to kill the outlaws and the Ali Khel and Mamozai (Orakzai) tribes prepare a lashkar to attack the outlaws and try to punish or kill them". a- We shall not allow these outlaws to come in our country. b- If they enter our ilaqa (territory) we will send a 'lashkar' against them and try to kill them. c- In case of default , we shall be liable to any punishment, which the government may propose. d- The Jawakis and Kala Khels make one tribe and can arrange by themselves. Ajab Khan and his gang, finding things too hot for them in Tirah, went over to Nangarhar in Afghanistan. 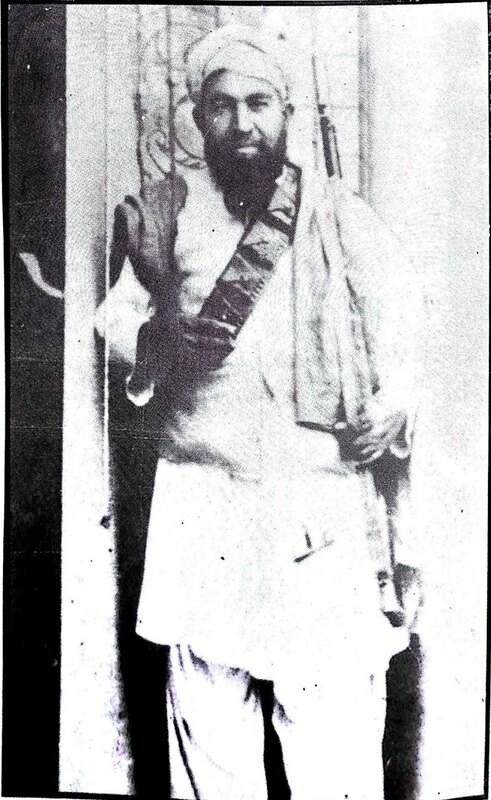 The government of India represented to Amir Amanullah Khan for their arrest. By September 1923, the government realised that the Amir was not serious in arresting Ajab Khan. 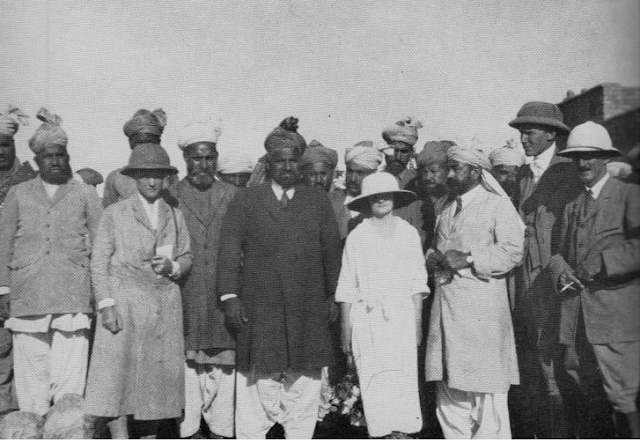 To pressurize the Amir, the government of India held up the consignment of arms which the Afghanistan had bought from France and was being transported through India via the Anglo-Afghan treaty of 1919 that stipulated that Afghanistan could import through India material of war so long as it is assured that Afghanistan intentions were friendly. On September 19th, the Amir of Afghanistan was informed that the passage of their arms would be only granted if the Amir handed over Ajab Khan and his gang to the government of India or deported them to Turkestan and held them under surveillance and stopped their return to India or Afghanistan. 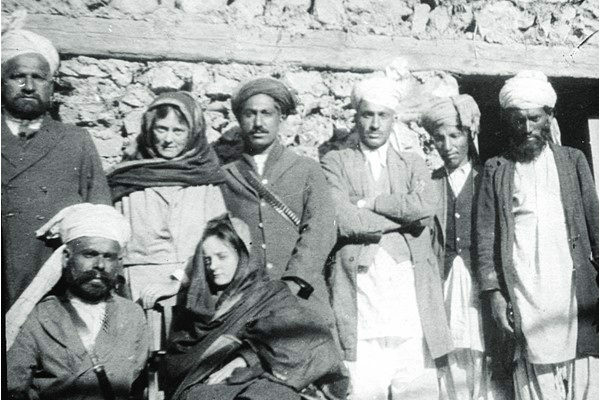 As a retaliation to the government of India's attitude on the night of 7/8th November 1923, Ajab Khan and his gang raided the house of Captain P Watts of Kurram militia and murdered Captain Watts and his wife. They again escaped through Tirah into Nangarhar. On the 11th of December 1923, all the British ladies were evacuated from Kabul and preparation for the withdrawal of British legation were made. This unnerved the Amir who on the 13th of December moved troops in Nangarhar to harass Ajab Khan. The latter took refuge in Spin Ghar, a continuation of the Safed Koh Range near the border. Afghanistan asserted that Ajab Khan was in India in a place called Mato Miana in Tirah. All the Maliks of the area negated the Afghan claim and gave an affidavit under the seal of Said Badshah, the 'Tirah King', to that effect. Ajab Khan was at Terra Darra on the Afghan side of Durand line. When he came to know that the Afridis of Tirah were not prepared to give him refuge and that the Afghan government had agreed to his transportation to Turkistan , he surrendered to the Afghan government through negotiations with the governor of eastern province. On the 10th January 1924, Ajab Khan, his cousin Shahzada, Hyder Shah Punjabi (his brother-in-law), Amal Khan (uncle) and Alam Khan (cousin) and 23 other members of their family surrendered to the Kabul government. Sultan Mir and Gul Akbar, the Tirah Jawakis, the two remaining members of his gang, did not surrender and remained in Tirah. 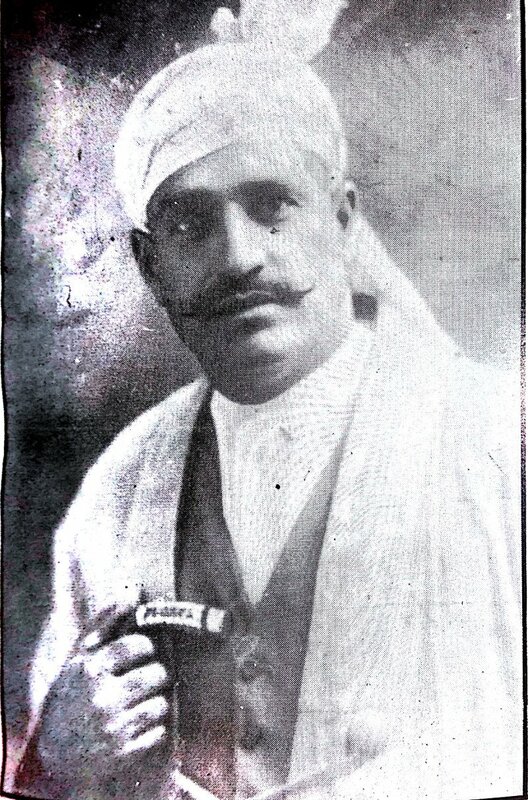 Gul Akbar Jawaki Afridi was arrested in Peshawar in May 1927. He was tried and hanged in same month.